My phone rang, it was ZZ2 with an unexpected delivery. 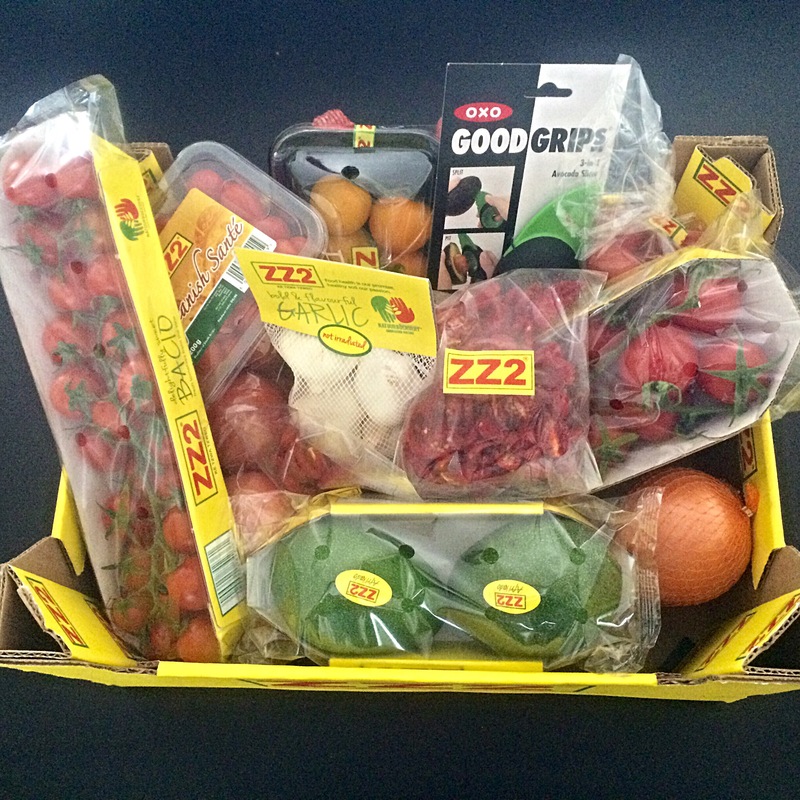 In my line of work, I receive deliveries all the time, but this was no ordinary delivery – it was the ZZ2 Mouthwatering Box! I raced downstairs to collect my bounty of some of South Africa’s best produce. The box popped with delicious colour; I spied tomatoes in a multitude of shapes and hues; from large “every day” tomatoes, to tomatoes with beautiful names such as Romanita, Bacio, Rigoletta and Sante, but what peaked my fancy the most were the sundried tomatoes! The box also included onions, garlic, avos and even a nifty avo tool! I was beyond excited to get cooking! How could I not be with such fantastic ingredients? 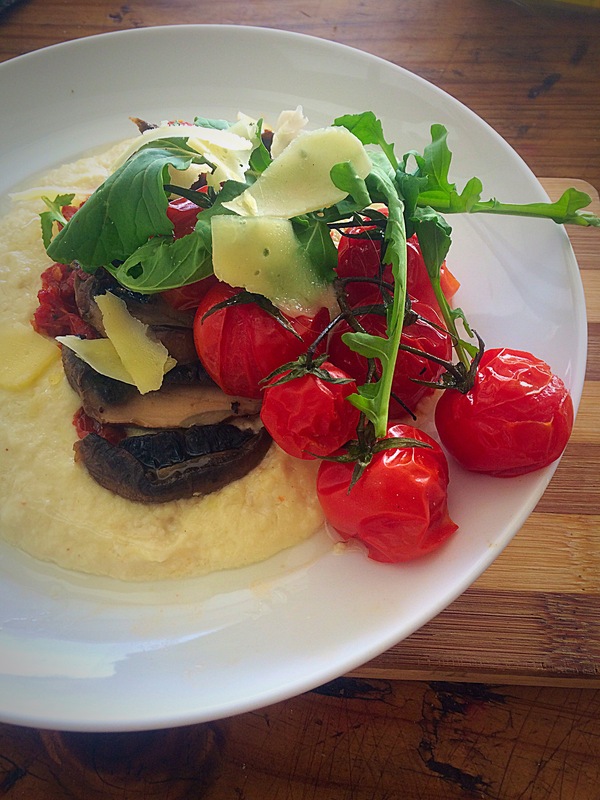 I wanted to create something that would celebrate these ingredients, and my mind went straight to Italy. It must have been the exotic tomato names! But also because Italians are known for celebrating food in every sense of the word. 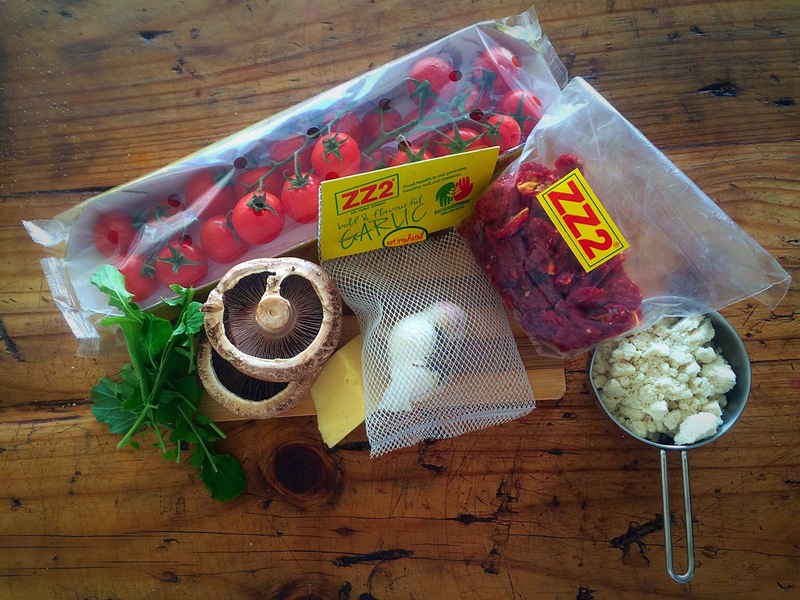 With the box of deliciousness, ZZ2 had asked us to create a dish that would hero two or more of the ingredients. I chose the garlic, Bacio vine tomatoes and of course, the sundried tomatoes. 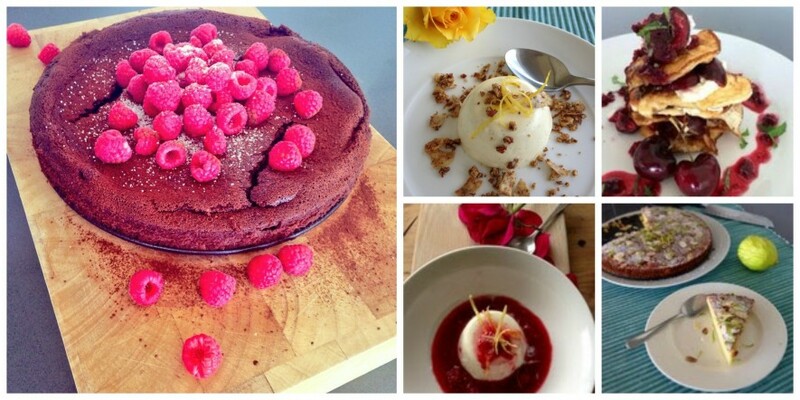 This is a multi-tasking kind of recipe. You can move onto the next process, while the previous element is cooking, or you can follow the recipe step-by-step – it’s up to you. 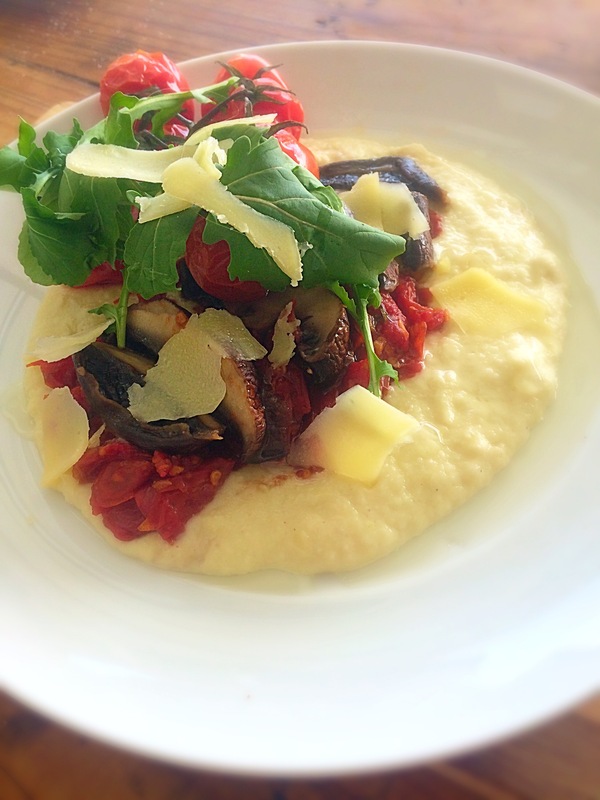 To plate, place some “polenta” into a bowl or onto a plate, top with the tomato jam and slices of mushroom and the rest of the ingredients. Drizzle with a little macadamia nut oil or olive oil, finish off with a few shavings of cheese. 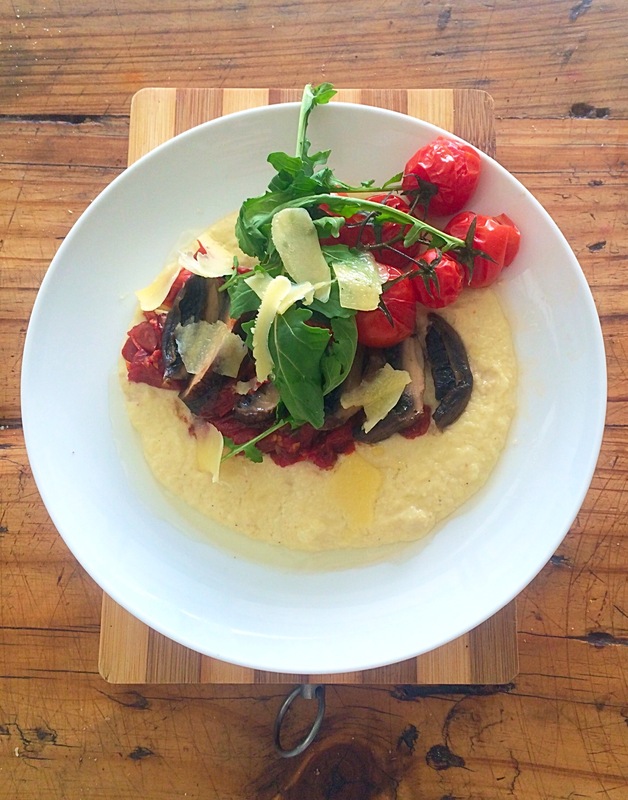 And there you have the perfect Winter warmer, using some of the best ingredients South Africa has to offer. Butter, from grass-fed cows, wins every time!